It Is A Matter Of Biblical Authority! I like what Answers In Genesis president Ken Ham said, "It is essentially which is the best bias to be bias with..."
It is important to note that evolution has several meanings. The micro evolution, or varieties within kinds is real, observable, and scientific; however, this has never been observed or shown in the fossil record to lead to new kinds. ​The problem arises when evidence for micro evolution is presented for proof of macro evolution. Macro evolution believes that all living things came from a common ancestor; that all living things actually came from rocks. It teaches that all of matter, energy, and time came into being from nothingness (the Big Bang). There is no indisputable evidence for macro evolution! What we have are interpretations of evidence that can also be interpreted for creation (See Picture below). Do You Know How Little Creation Science is Taught? Noah's Flood: Did it Occur? The Tower of Babel Was it a Real Event? This study addresses the crisis of faith that occurs when we abandoned the true witness of scripture. It addresses the propaganda of evolution, the actual science that is used contrary to its true attributes. 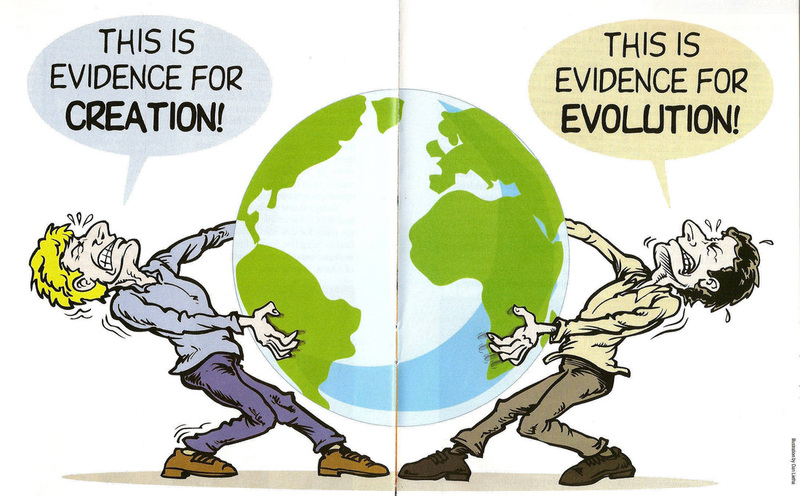 It continues with creation scientists statements, interpretations, and clear exposures of the problems of evolution. Where does information come from? All evidence known to us has determined that information comes from and is understood by intelligence. The universe is filled with information that does not evolve it exists...infinite information comes only by an intelligent infinite being whom we know as God. Michael Behe shows that the tiniest single cell is vastly complex and is irreducible so that if any part is missing the cell dies. This truth is insurmountable as being explainable in terms of any evolutionary model. Many Churches do not address this debate it appears that less than 20% speak from the pulpit about it. Lord of Lords must be an elite church because creationism is a passion. This message reinforces what we do know and updates new evidences that validate the Bible. If evolution were true and God intended us to understand it as His divine process then the scriptures would have reflected it...this is a simple approach to give us an example. The radioactive dating used by evolutionist to prove old ages is so flawed and inconsistent that if the Bible were similar in its methods Christianity would not exist. This helps explain from the Bible why suffering exists...it's because of sin and the fall! Breaking down the way the world works according the Biblical principles helps us to understand our very complex world. The debate is over interpretations of the same evidence! Every attribute given to evolution belongs to God! Darwin’s Black Box—What Evolutionist’s Don’t want you to know. For decades and even a few centuries, our scientific community has been making sure that Darwin’s theory doesn’t break down. 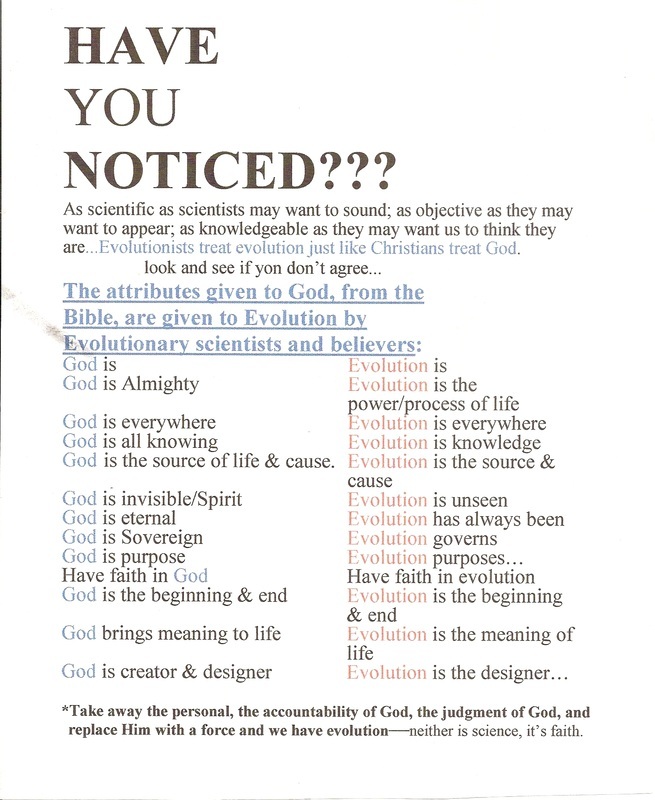 They have been touting authoritatively, pounding the pulpit harder so to speak, to make sure that everyone understands that evolution is a fact, not to be questioned with. Special Note: This is in complete conflict and denial of what God says He created the physical world for. The scriptures testify that creation reveals the creator and the heavens declare His glory.